Having a deck in the backyard makes outdoor lounging or dining much more enjoyable during hot summer months. It provides a space to relax with your family and bask in the outdoors. Building a deck without professional help is not a project to take on lightly. The process involves heavy planning, a high level of skill in construction and the right materials. For the vast majority of people who want the benefits of one, deck building is best left to the professionals. Choosing a skilled contractor to do the job saves time, money and the frustration of a long-unfinished deck eating up space in the backyard while remaining unusable. Instead, get the job finished efficiently and elegantly. Consider the quality of the finished product from a professional skilled in deck building. Hiring a company that has built decks successfully for years opens up a wider range of possibilities for deck styles. When working with contractors, you can find a shape that complements your house’s shape and maximizes backyard space. Stairs and a railing make a deck feel truly like an extension of your house, plus fresh air and a view of your garden. Select a durable wood that will be appropriate for your climate, whether it runs hot and sunny or has a long wet season, and your custom-made deck will have a much longer lifespan. 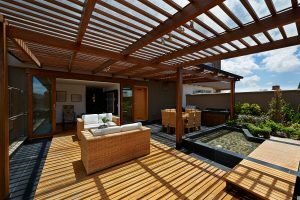 A shaded deck makes a backyard in a hot desert climate more enjoyable without sacrificing the soothing effects of being outdoors. Deck building is a house-expanding option that is a much faster, less invasive project than other expansion options. Instead of turning the inside of your home into a construction zone, the chaos is mostly relegated to the backyard. A small, angled deck is a good option to consider for a small backyard. Larger decks correspond to spacious backyards and homeowners who often host parties and other gatherings. 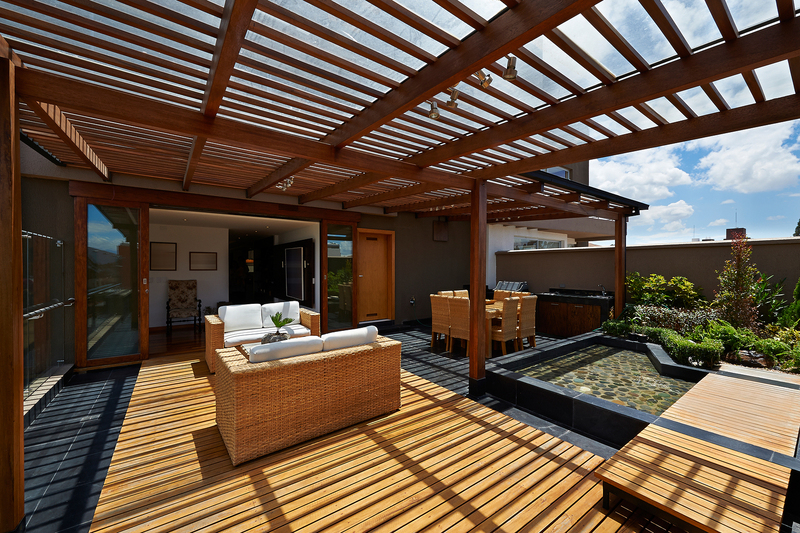 Get the most out of your deck by working with professionals to create a backyard space tailored to your needs.